A multi-story drama about race relations, the fragility of life, the ties that bind and growing societal chasms, Grand Canyon explores the remnants of the American Dream but is never as profound as it hopes to be. 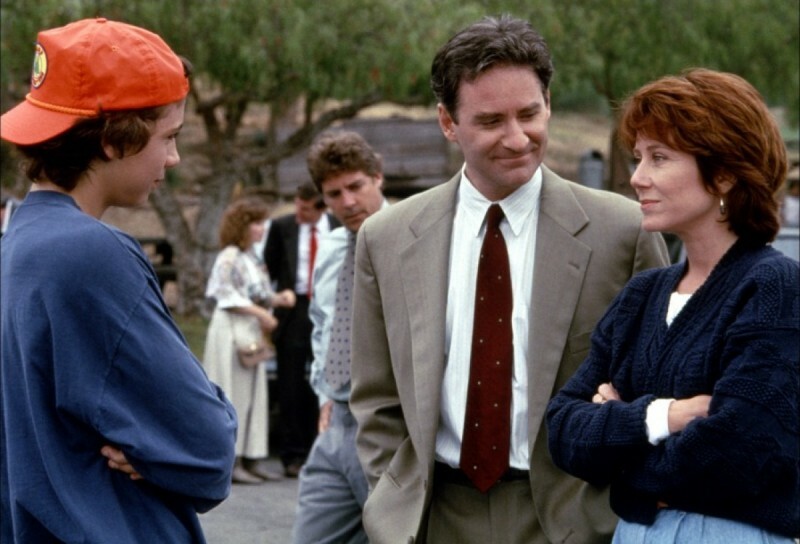 In Los Angeles, immigration lawyer Mack (Kevin Kline) experiences a late night car breakdown in a bad part of town. 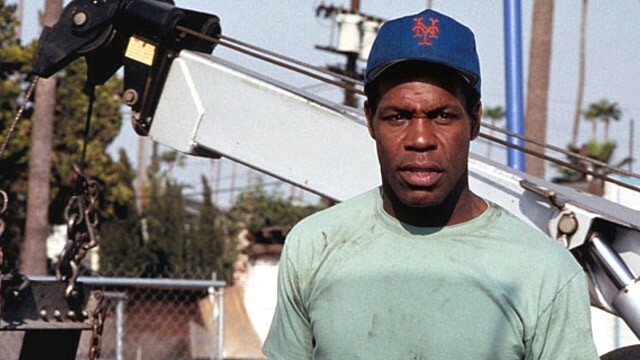 Black tow truck driver Simon (Danny Glover) arrives just in time to prevent Mack being mugged by five black gang members. Simon's sister Deborah (Tina Lifford) lives in the same neighbourhood, and her son Otis is getting sucked into the gang lifestyle. While out on a jog Mack's wife Claire (Mary McDonnell) stumbles upon a baby abandoned in the bushes. She takes care of the infant for nine hours before Mack arrives home and insists that they call the police. Mack's friend Davis (Steve Martin), an action film producer, is shot in the thigh during a violent mugging, and announces that he will henceforth be shunning violence on film in favour of life-affirming movies. At his office, Mack is avoiding the attention of intern Dee (Mary Louise Parker). The had a one night stand that she took seriously, but he wants no further involvement. Mack reaches out to Simon and tries to find a way to express his gratitude and return the favour, while Claire starts proceedings to become the foster parent for the abandoned baby. An exploration of a supposedly enlightened fabric gradually fraying, Grand Canyon stares at often ignored emotional, physical and urban scars. Directed and co-written by Lawrence Kasdan, the film is halfway successful to making its point: human life is relatively insignificant in the overall scheme of things, and anyway beneath a thin veneer of civility, families and communities are on the cusp of collapse. The clumsy density of disturbing things happening to a few people undermines the intended flow. The suburb where Mack and Claire seemingly live an idyllic life is also a place where scary hobos hang out and people abandon babies in bushes. Their marriage appears ideal: but in reality he has cheated and she is unhinged as her motherhood phase comes to an end. The inner city is beyond salvation, Mack's mugging a white man's taste of what kids like Otis are experiencing every day. Even the glitzy world of Hollywood is not immune: Davis is shot for an ironic taste of his own medicine. Kasdan counterbalances the fear mongering with the evolving relationship between Mack and Simon. Mack makes the effort, Simon responds and a friendship is born, although it remains an extremely awkward step across the racial divide: Mack arranges a blind date for Simon with co-worker Jane (Alfre Woodard), but only because they happen to be the only two black people Mack knows by name. The film suffers from an overeagerness to appear weighty, the dialogue often overburdened with meaningful conflict at the television drama level, Mack seemingly unable to go one day without yet another serious encounter. Kasdan also succumbs to the obvious symbolism apparent in the film's title, including inserting shots of menacing helicopters whirring over Los Angeles at too-frequent intervals. 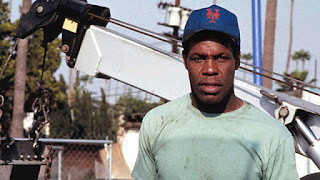 The stellar cast performs with the expected level of expressive solemnity, Danny Glover emerging with one of his career best roles as a seen-it-all tow truck driver possessing astute observations on the ways of the world. Intelligent but just a touch too smug, Grand Canyon carves an interesting but sometimes shallow path.